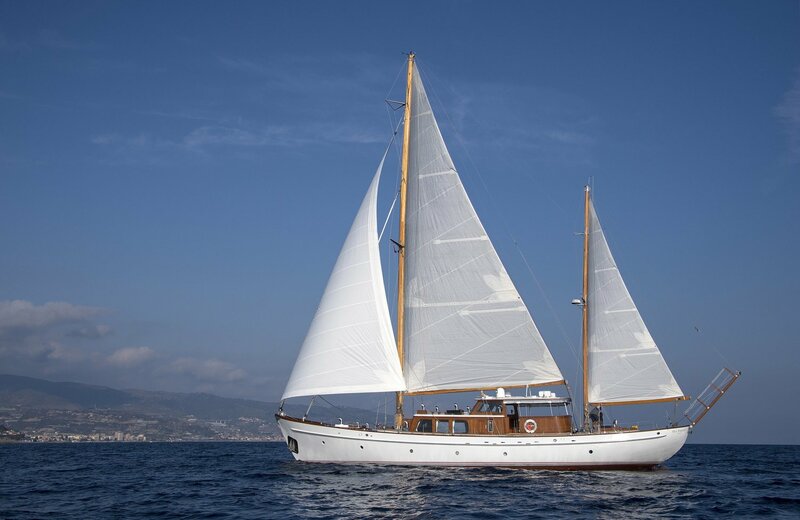 SEA PRINCE (ex Sea Prince II) is a striking 1953 classic sailing yacht, measuring 25.30m (83') and built by the renowned German shipyard Abeking & Rasmussen. 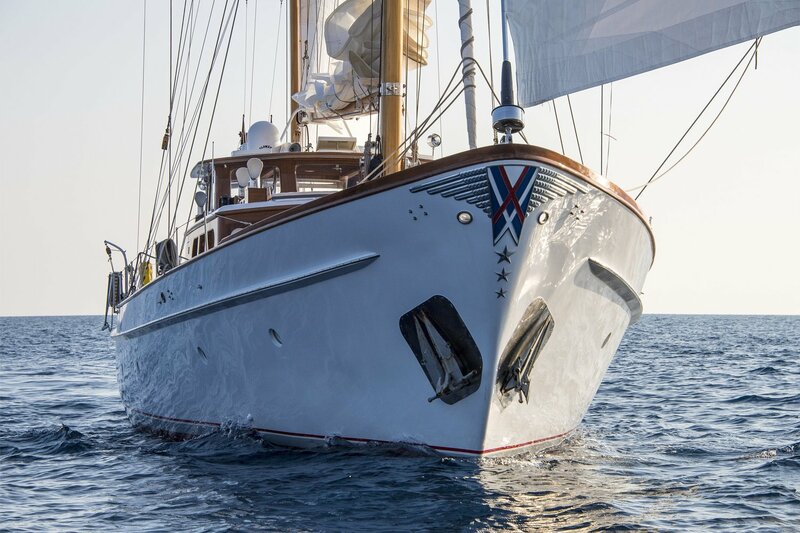 She was designed by the respected naval architect Philip Rhodes and was refitted in 2017. 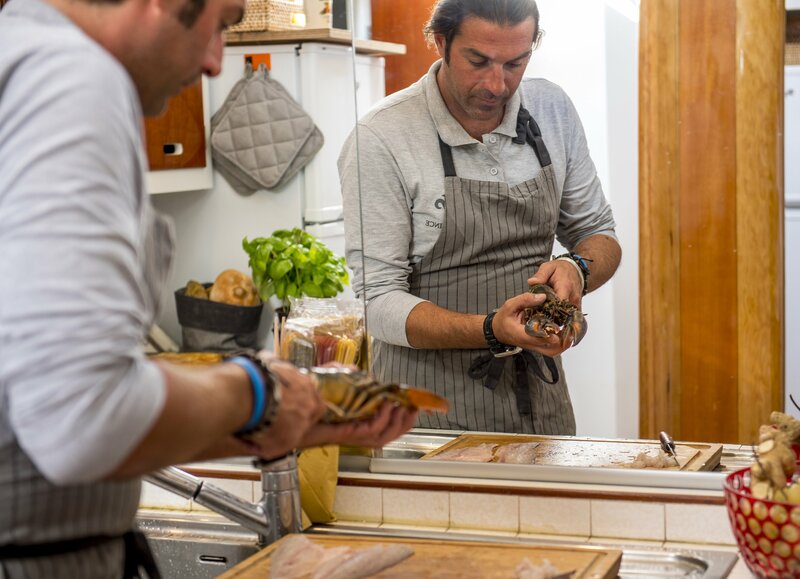 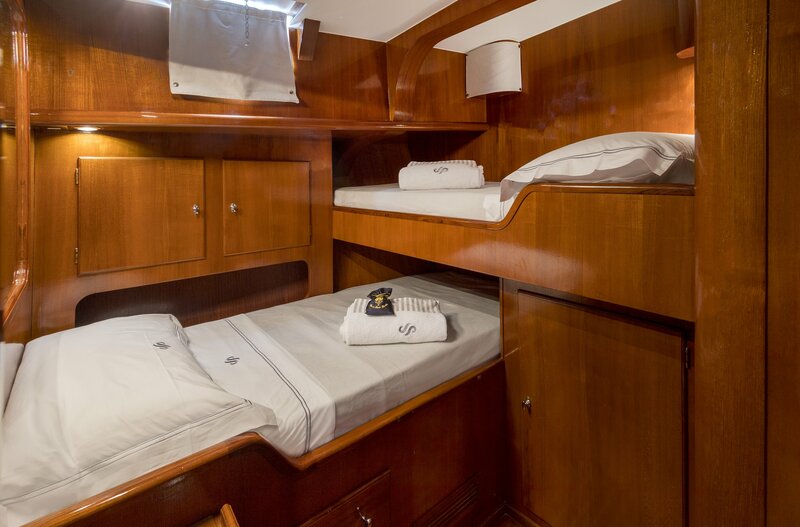 Accommodation is provided for up to 8 guests in 4 cabins, and there is a crew of 5 on board. 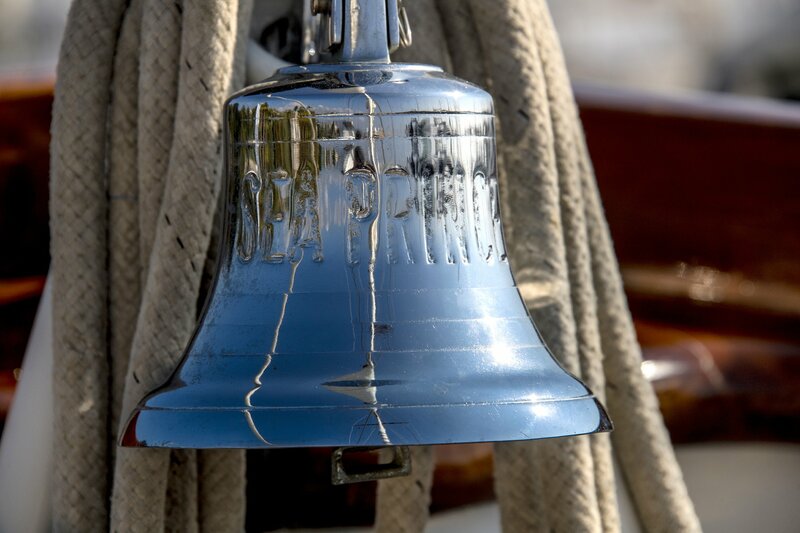 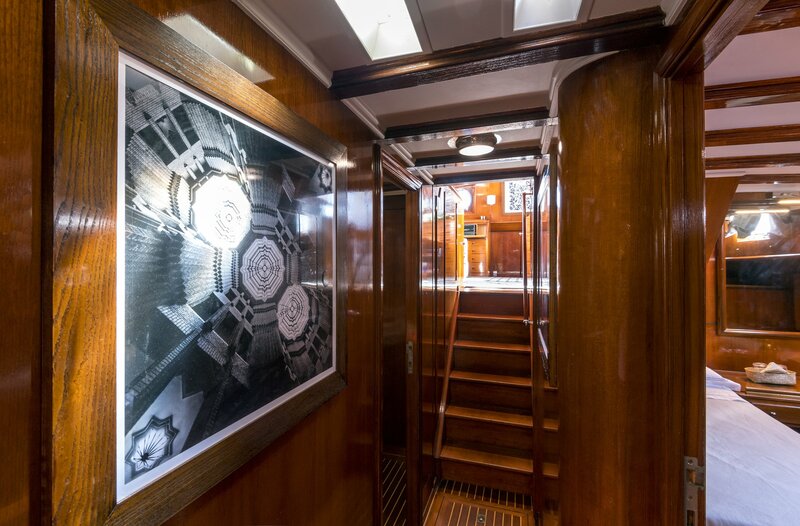 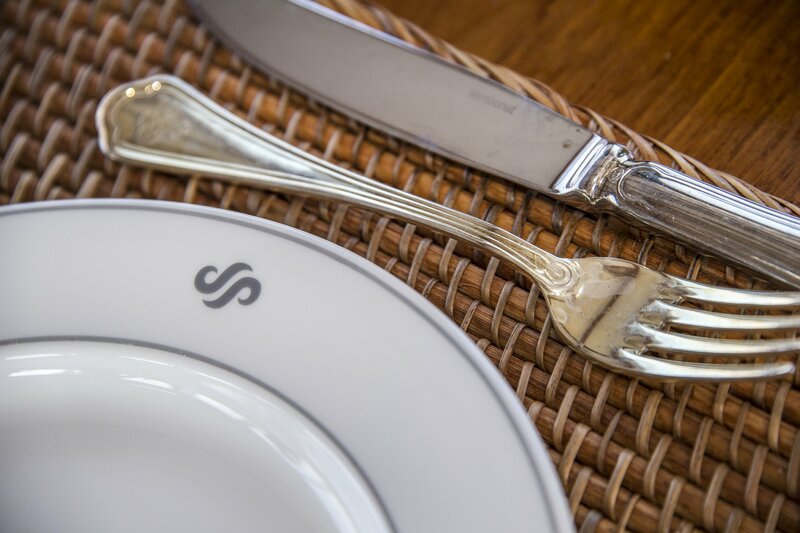 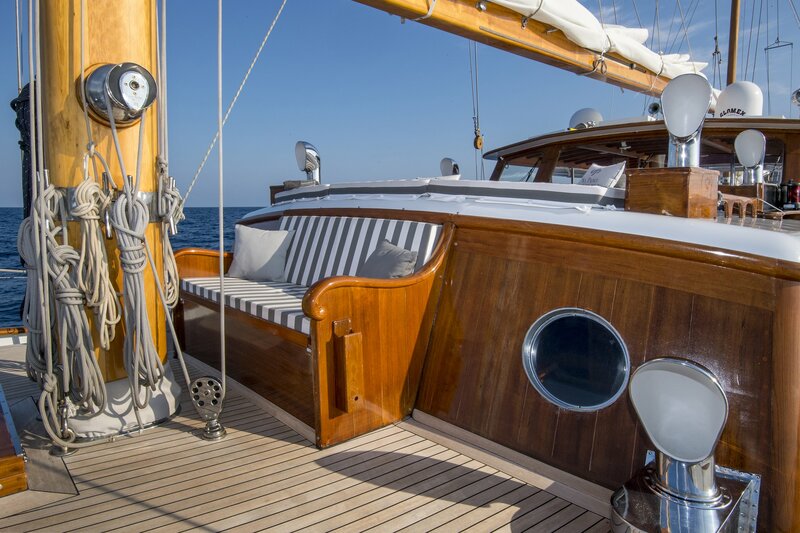 During the 2017 refit, many of the yacht’s original parts and fittings, both on deck and on the interior were kept and restored. 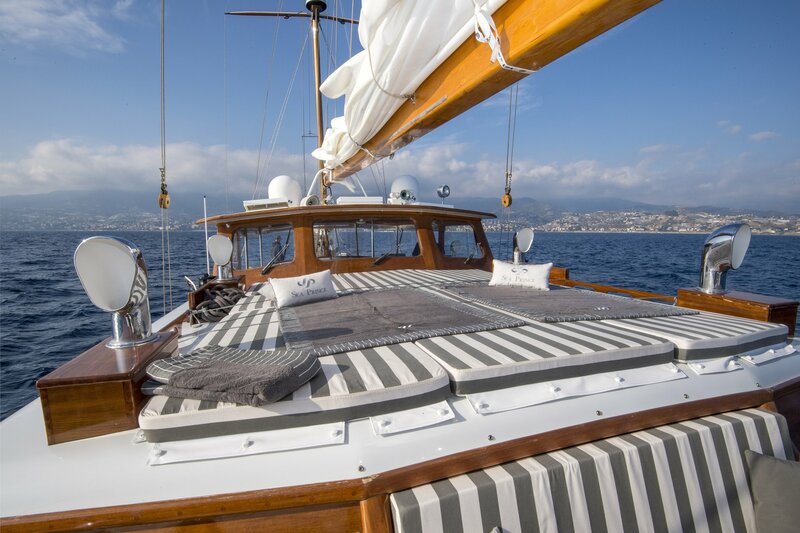 She is entirely air-conditioned for guests comfort during the entire vacation. 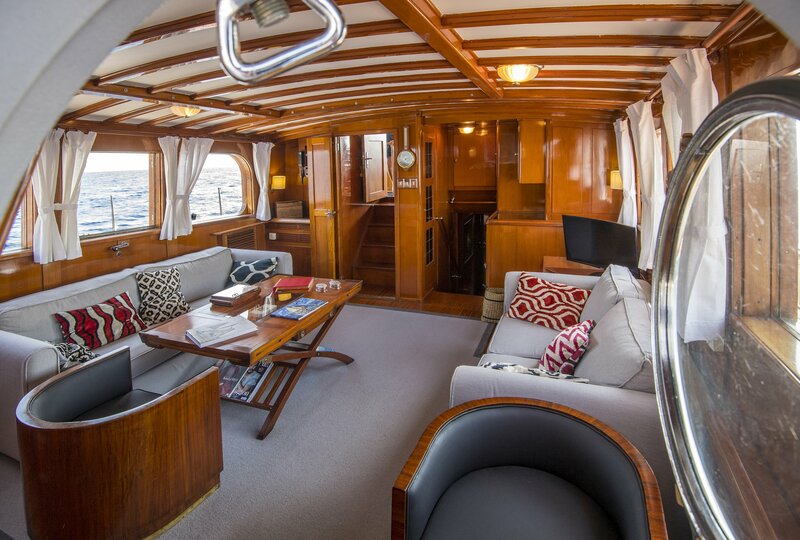 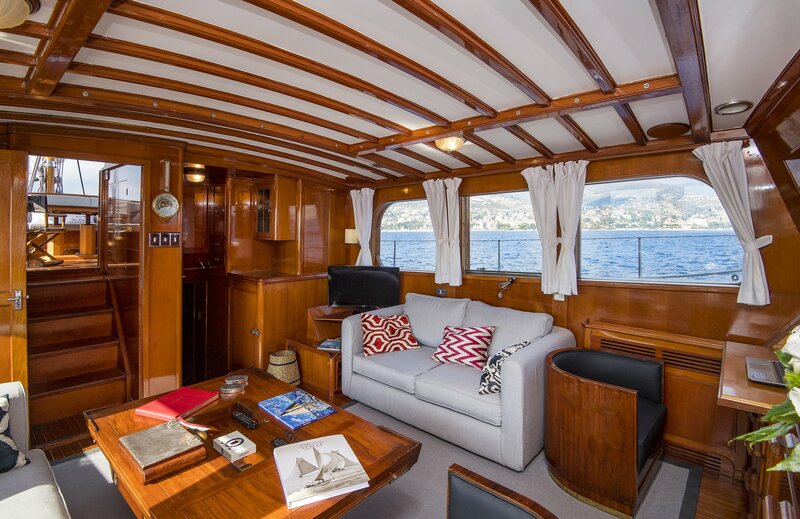 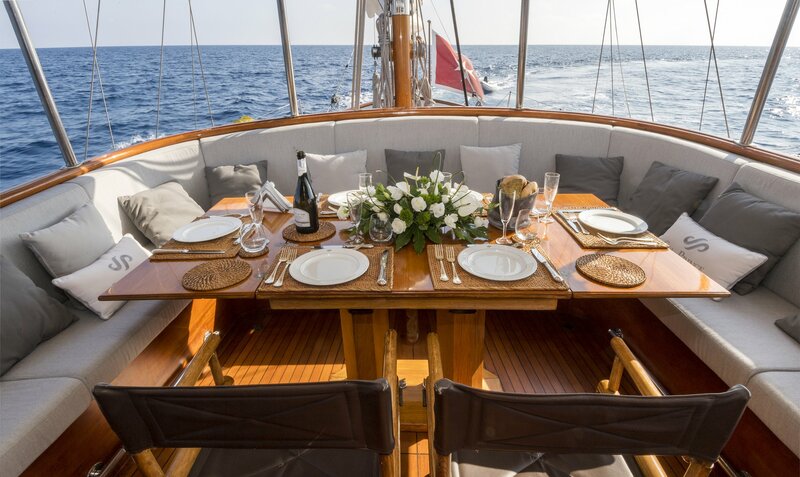 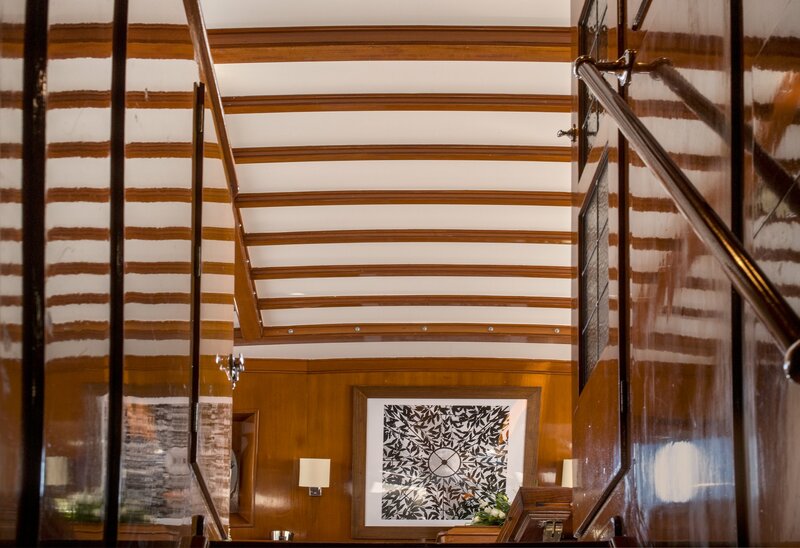 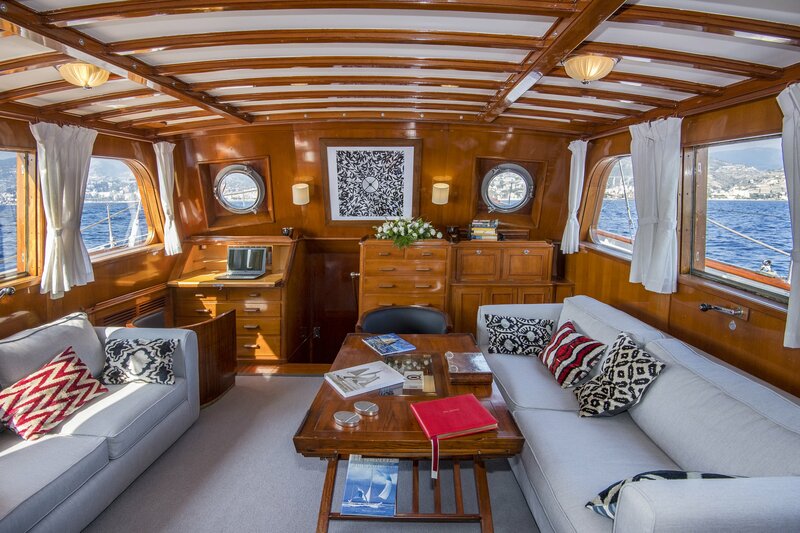 She has a fabulous wooden interior, giving her a warm, welcoming and luxurious ambience. 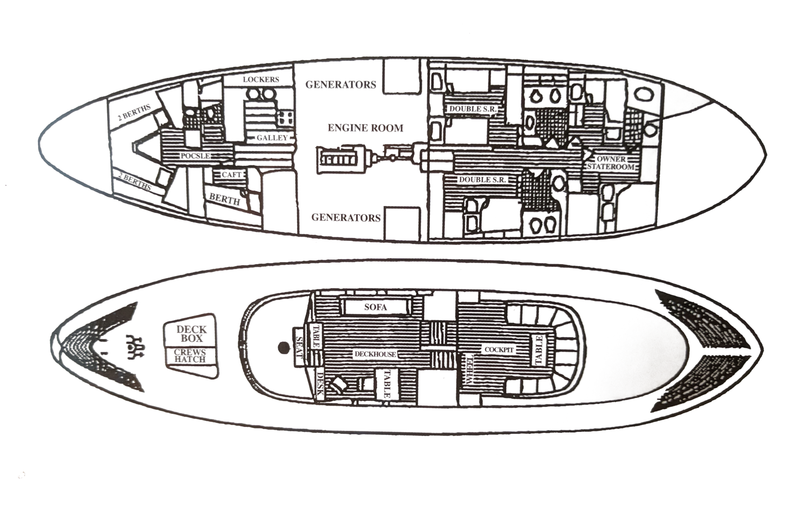 Even though she measures 82 feet (25m) SEA PRINCE has a considerably large accommodation for a vessel of her size. 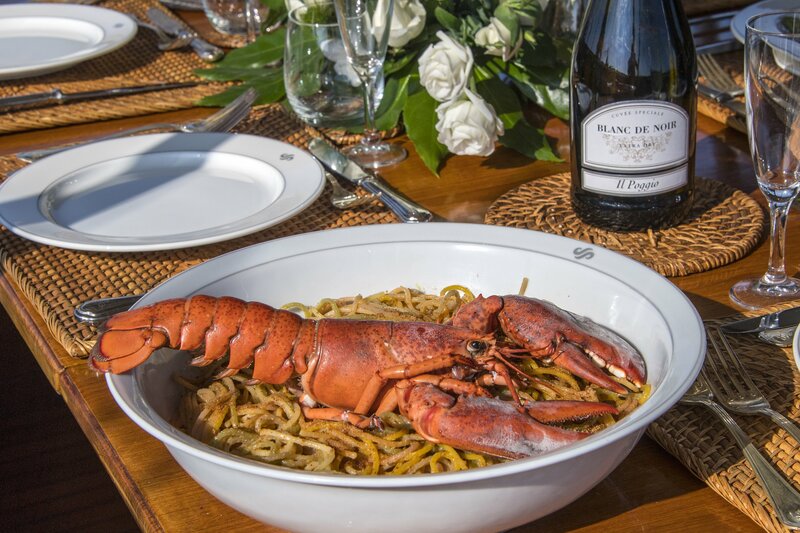 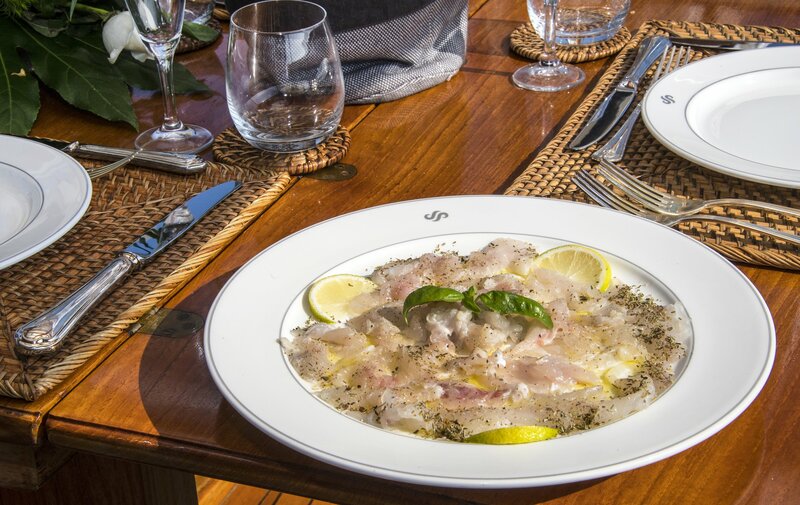 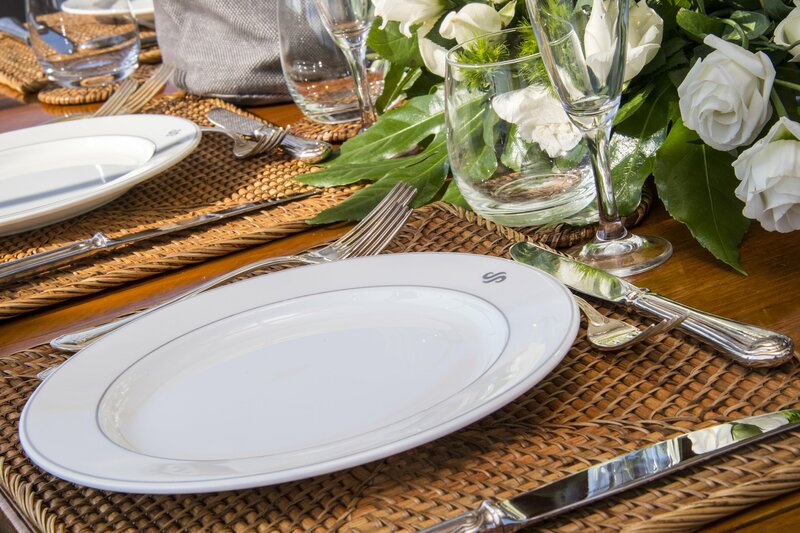 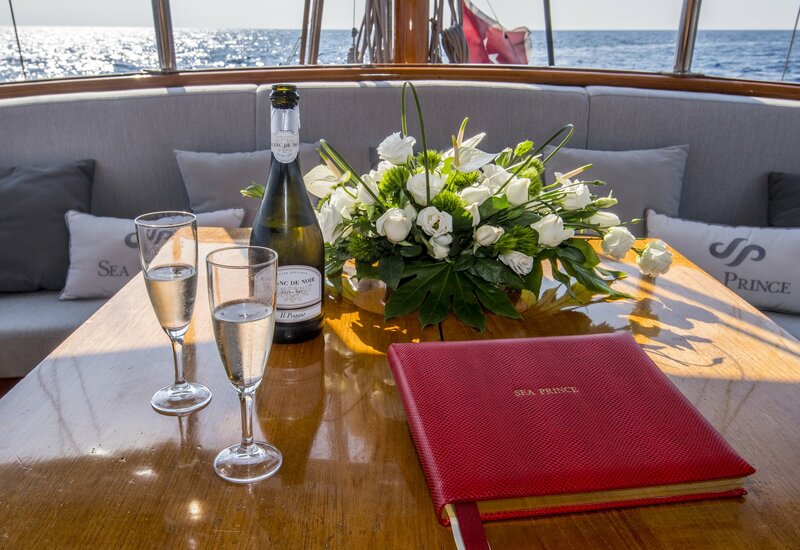 The large cockpit offers a fantastic alfresco dining experience with a professional onboard Chef creating the most delicious gourmet meals. 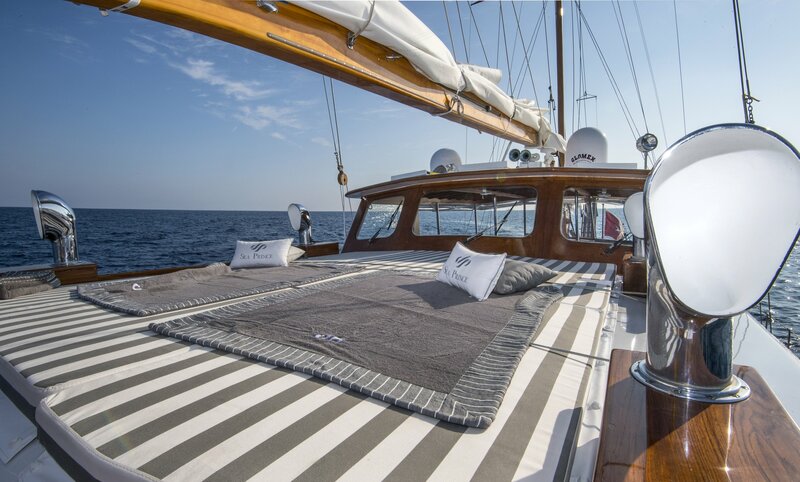 The sun deck offers huge sun pads and is ideal for relaxation. 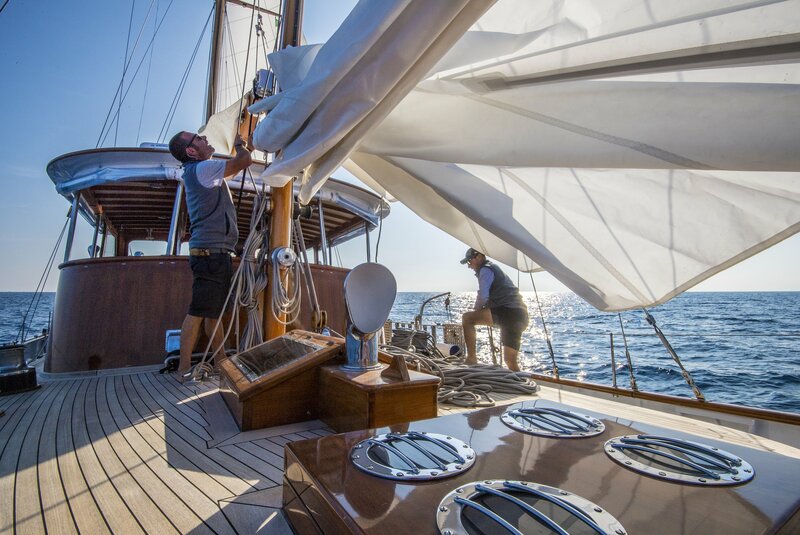 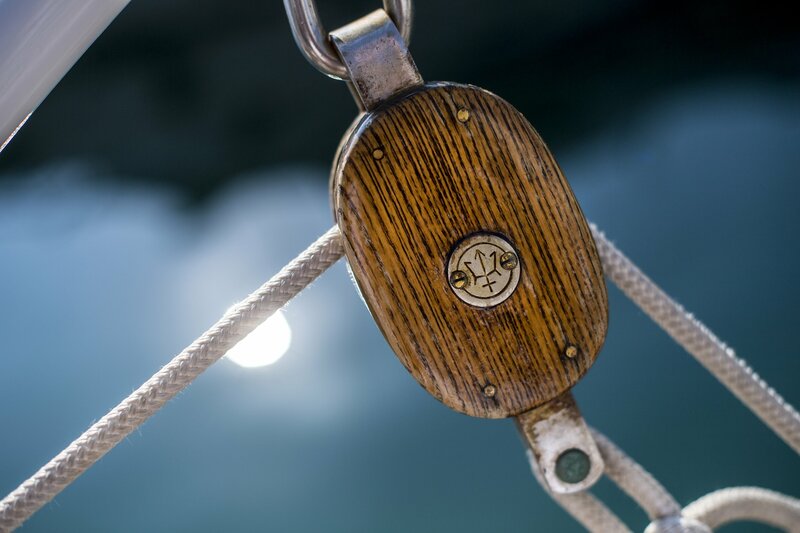 The yacht is extremely well taken care of with the crew taking great pride in their work. 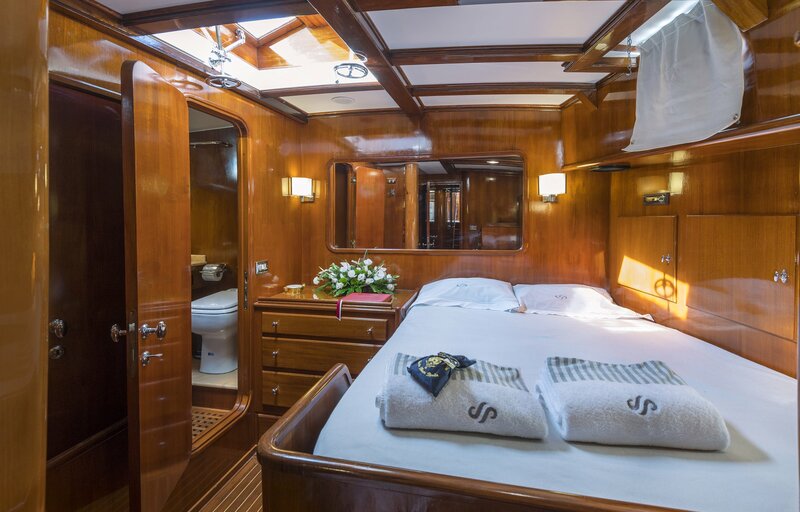 Sea Prince provides accommodation for up to 8 charter guests in four cabins: one master cabin with a large double and ensuite bathroom facilities, own VIP cabin with a double bed, one cabin with two Pullman beds and one twin cabin with two single beds. 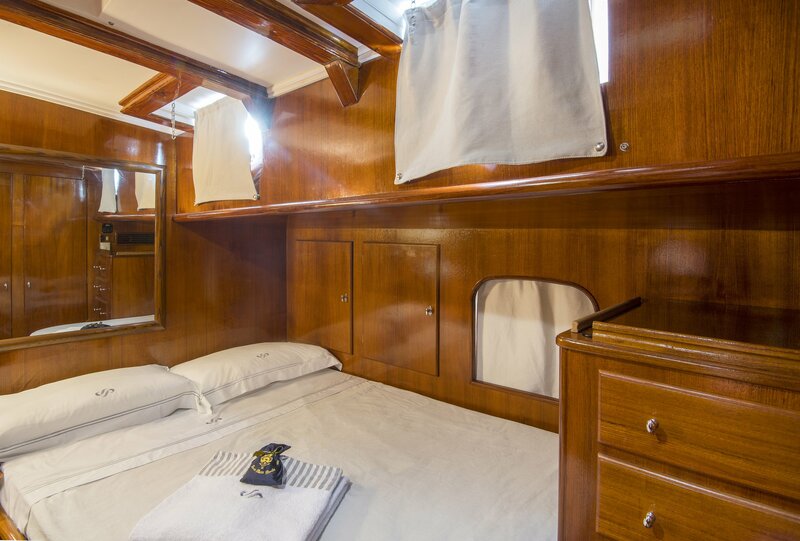 All cabins and main salon Air Conditioned throughout. 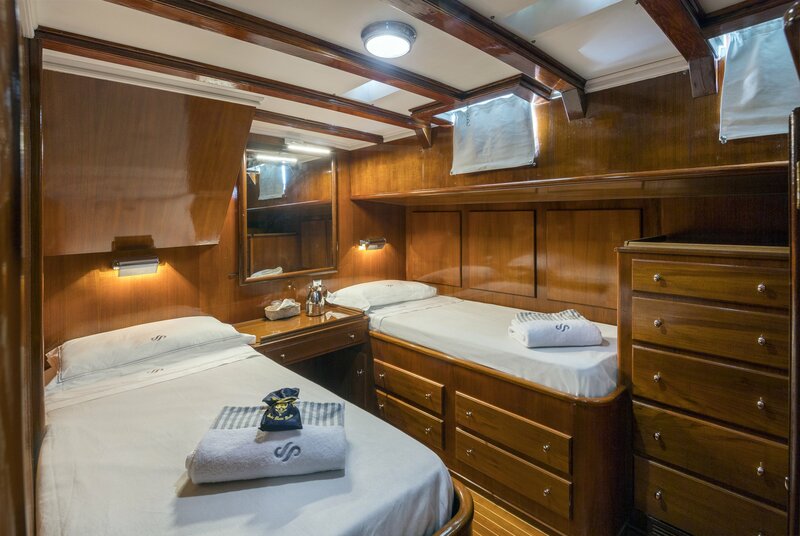 The separate crew quarters sleep a crew of four plus the Captain. 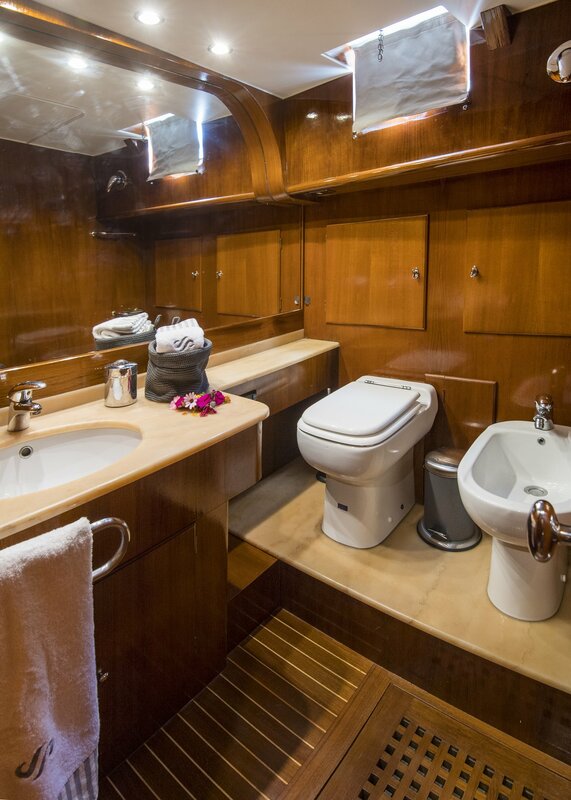 All bathrooms feature marble essence.